EXPRESS TECH DELUXE Highly customizable and versatile lightweight travel BC Customize your rig: Express Tech Deluxe with no weight system Express Tech Deluxe with Zip Touch weight system (20 lb capacity) Express Tech Deluxe with Ripcord weight system (30 lb capacity) The Deluxe version of the Express Tech includes several accessories that were commonly requested by divers. It comes with a deluxe webbing harness which includes an articulated shoulder assembly that swivels to adjust the harness to the contours of your torso. 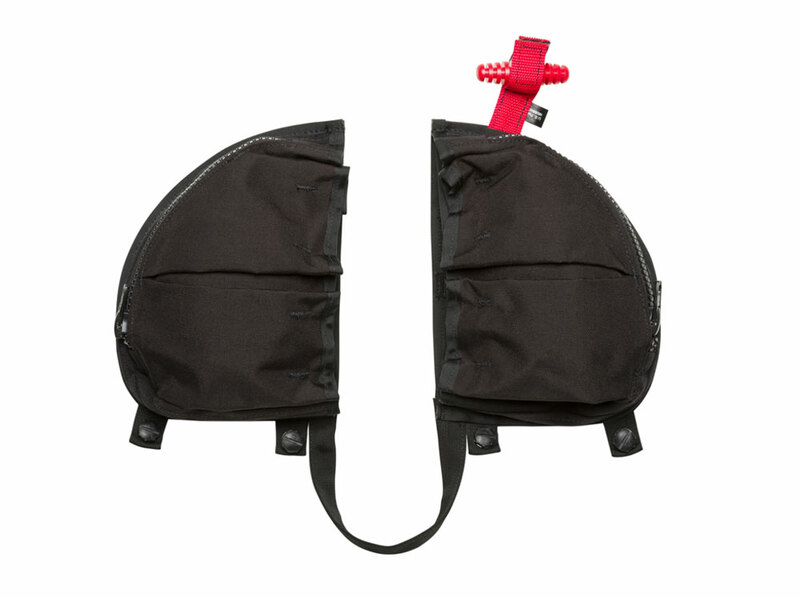 Our pad kit can be included, giving you a set of shoulder pads and a soft back pad (removable). 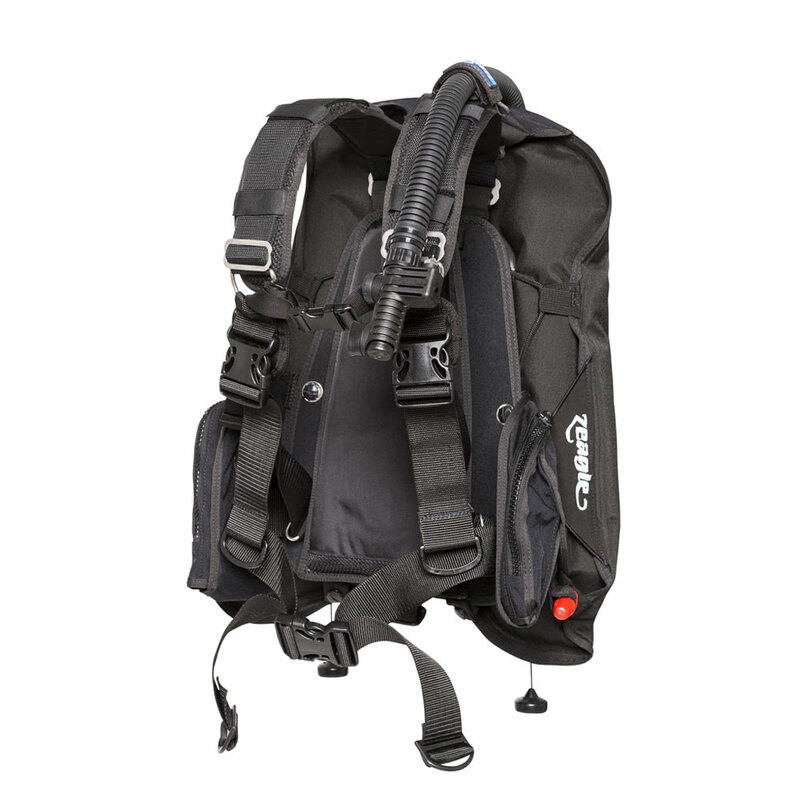 The Deluxe version of the Express Tech includes several accessories that were commonly requested by divers. It comes with a deluxe webbing harness which includes an articulated shoulder assembly that swivels to adjust the harness to the contours of your torso. 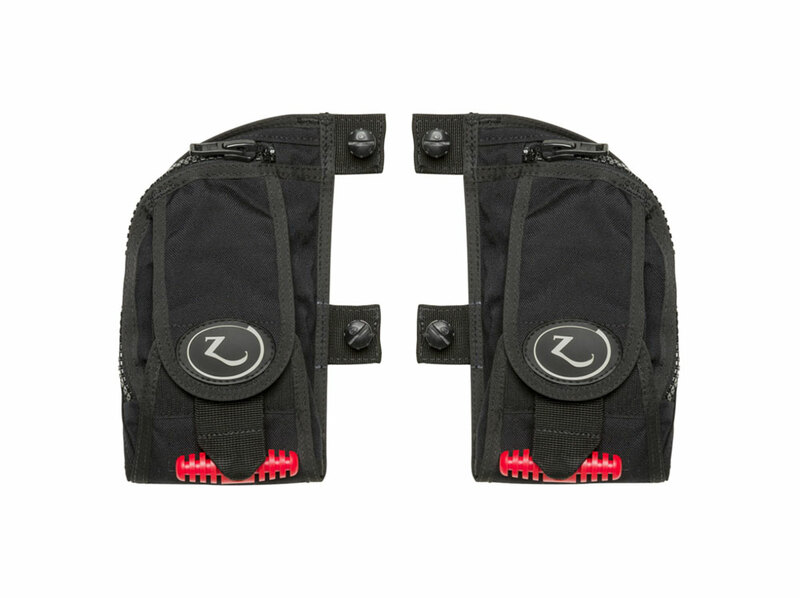 Our pad kit can be included, giving you a set of shoulder pads and a soft back pad (removable).